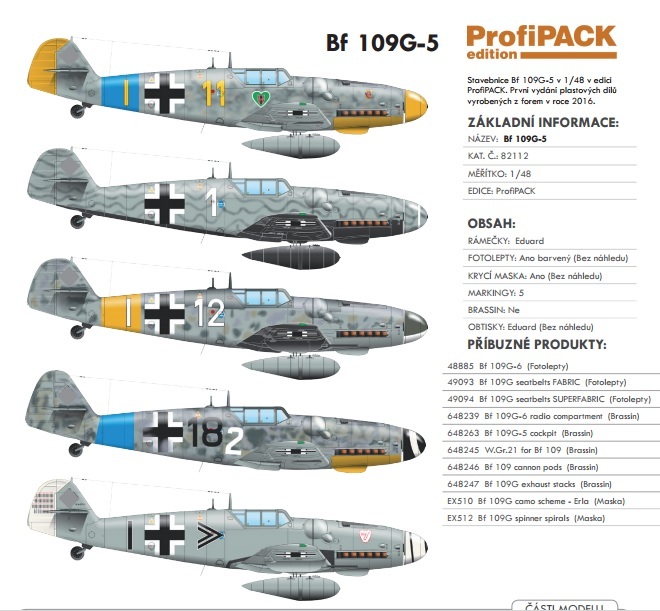 So I still haven't made up my mind to purchase one or several of the 're-tooled' new tools yet - as I have 3 or 4 of the old 'new-tool' - which, as I've said, does make up into a very nice kit. I notice too that the price of the new kit seems to have gone up quite a bit (+£3) from the first 'edition'..and I will probably wait for something a bit cheaper than 27 quid, although 'overtrees' are available throughout April only for rather less than half this price along with a discount if you can come up with the required proof of purchase from the 'old' kit. 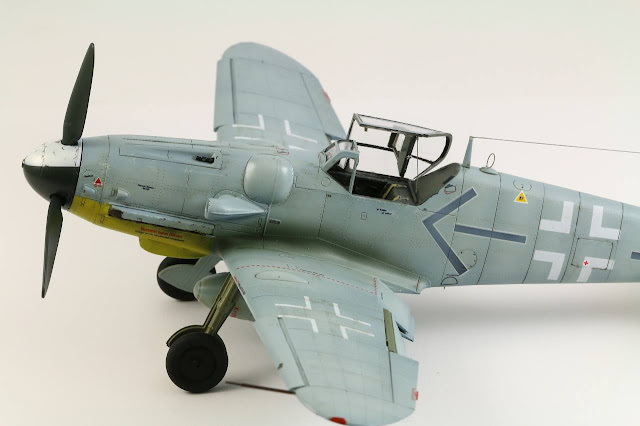 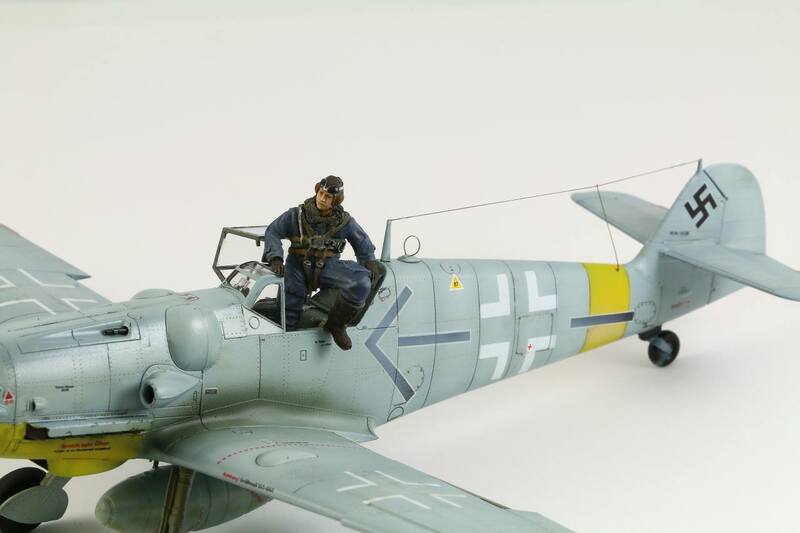 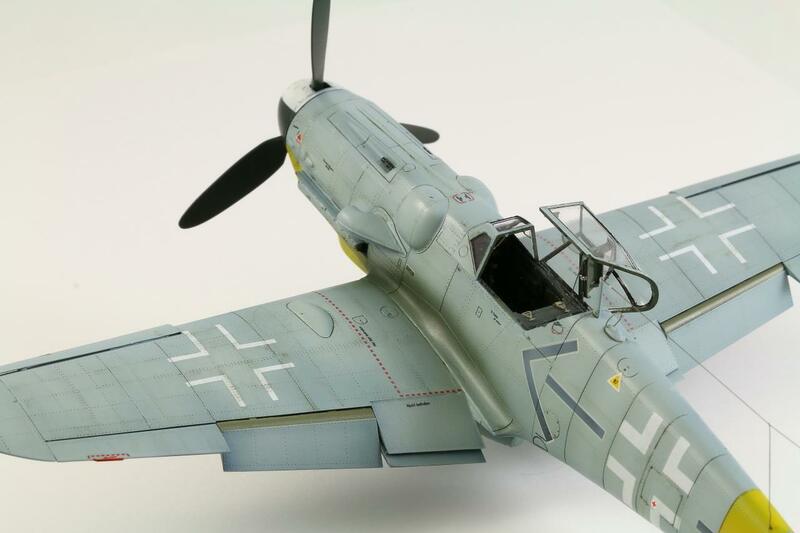 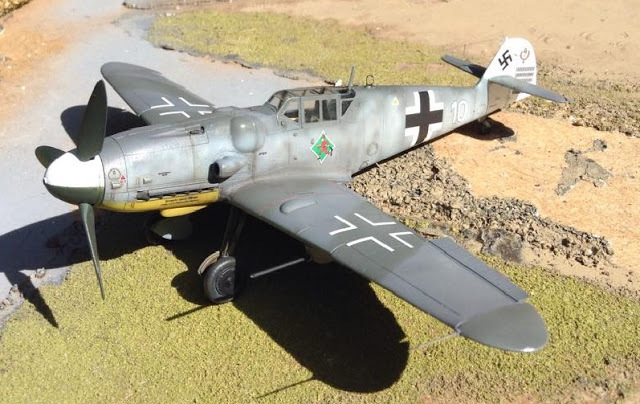 Rather annoyingly it seems that Eduard have a policy of charging UK customers a bit more for the kit than modellers in other European countries. 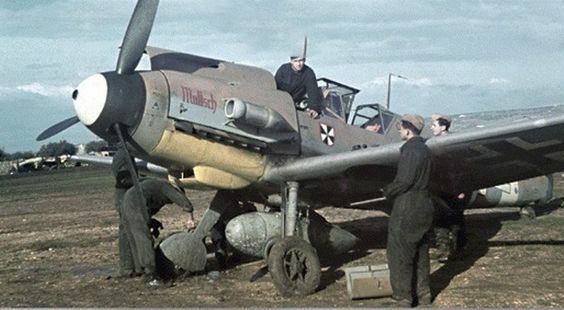 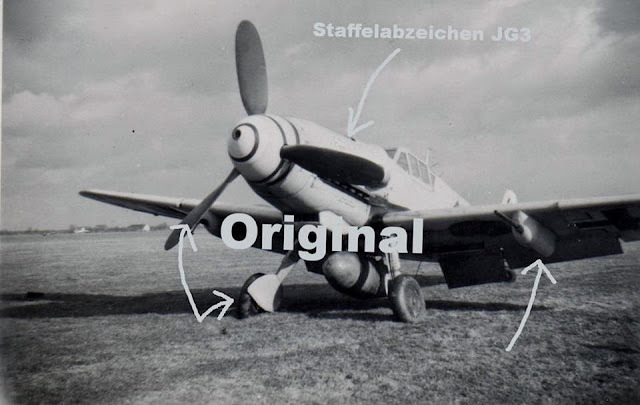 A selection of photos of this machine is published in the Prien/Stemmer/Rodeike/Bock tome Jagdfliegerverbände 10/II Reichsverteidigung 1943 where it has to be said it is labelled as a G-5 - the pressurised cabin for high-altitude flights is quite apparent..
above and below - from the chevron Winkel and Abschussbalken on the rudder this Bf 109 G-5 was probably assigned to Kommandeur Dahl - this is Bf-109 G-5, W.Nr.27 112 of the Stab III./JG 3 apparently photographed during December 1943, probably at Bad Wörishofen.